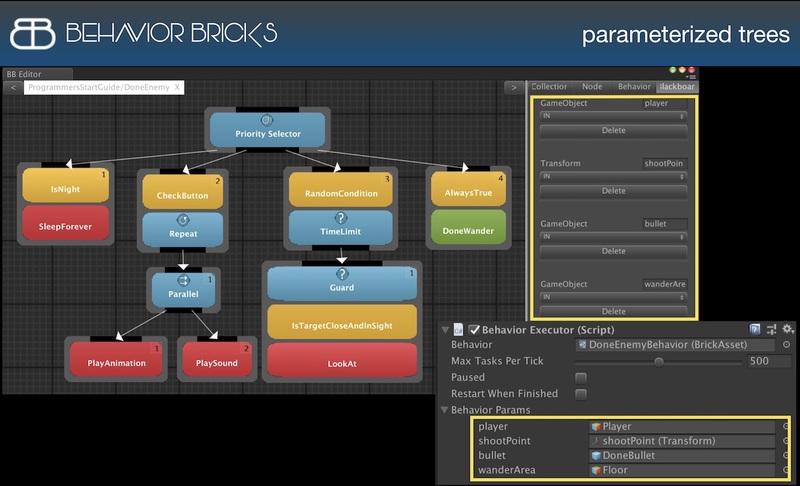 Behavior Bricks is a state-of-the-art engine for Behavior Trees along with an intuitive visual editor. 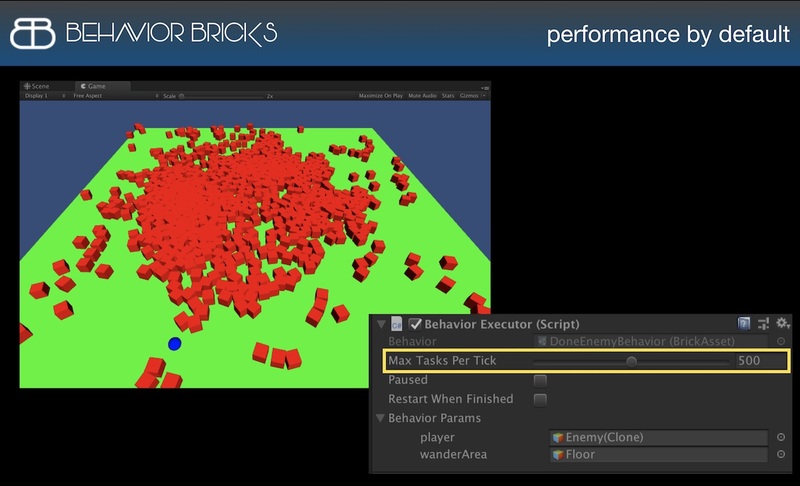 Behavior Bricks has been designed with three main goals in mind: efficiency, extensibility, and large scale. 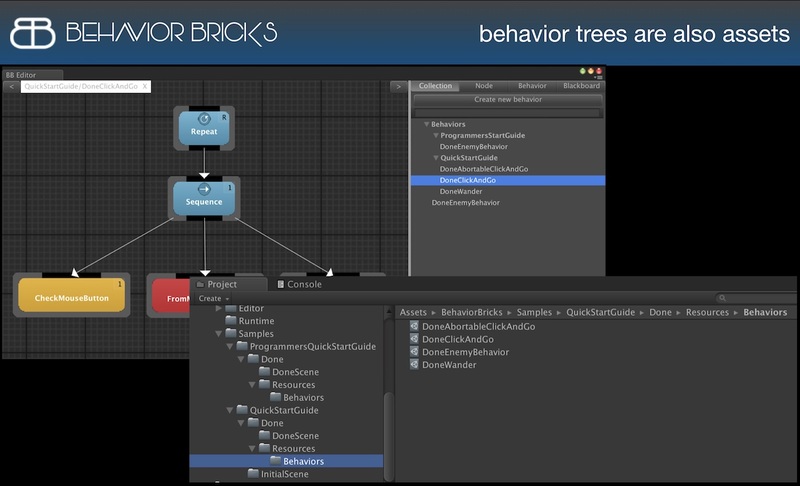 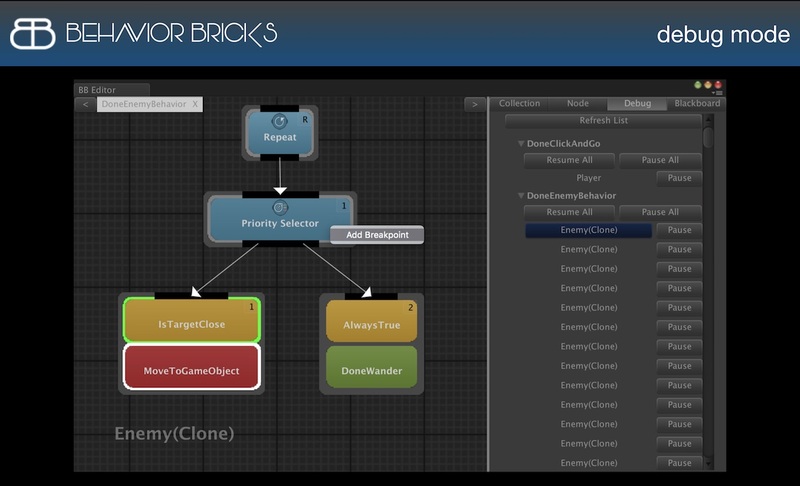 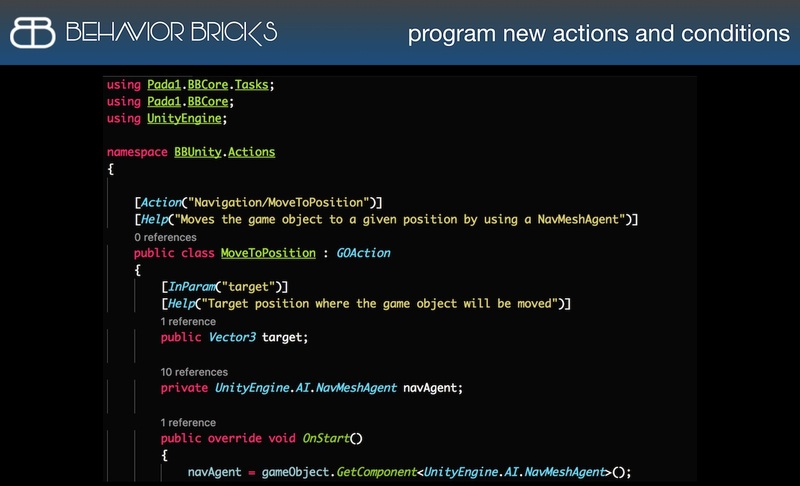 Behavior Bricks includes some unique features not to be found in other tools for Behavior Trees available in the Unity 3D Asset Store.